Kids are like sponges: they absorb almost every piece of knowledge and learning you give them and they surprise you by showing you things that you didn’t think they knew! Let’s be honest: nowadays kids seem like they are born with innate abilities to use things like computers and tablets even better than us in practically no time. They learn things so quick, sometimes it’s difficult to maintain their pace and when you play brain games with them it’s even better! Developing cognitive abilities faster and superior problem solving skills and reasoning is something we must strive for, and what is the best way to achieve that? Digital brain games! Just picture it: Kids love videogames and they love playing with smartphones and almost any piece of new tech that comes out to the market. If you mix that with the amazing memory games that you can find for free on the internet and their many learning advantages, you are setting the way to the creation of the next super genius! Memory games are designed with the intention of being fun for the brain and exercise the neural pathways that allow distinguishing even the most subtle differences in sounds, images and patterns. Online brain training exercises are a new trend in gaming that is becoming more popular by the day because they work at training your brain on the basic fundamentals essential for listening, language, and reading; which are the main aspects we want our kids to develop to their max potential. The thing with the brain is that it is not a passive recipient of learning at all: If you want to learn new information the brain has to be able to focus on important hints while holding them in short-term memory. The kind of mind games and exercises that exist these days are specifically designed to function as a “workout” that involves attention, information retention and problem solving skills. All the efforts and the Improvements these types of activities provide have been associated by many studies with positive progresses in academic performance and reading comprehension, so why not give it shot? Super Brain Game is probably one of your best shots on this: it’s an amazing game app that provides an easily approachable set of memory activities that will keep your toddler (and maybe yourself too!) glued to the screen of your device. Super Brain Game focuses in working your short-term memory by giving you a series of tile sequences that you have to memorize, advance levels, reach new checkpoints and gain awesome achievements. This game offers you the benefits of solving 99 levels in the palm of your hand! If you really want your children to learn and have fun at the same time, Super Brain Game is without question, one of your best options. Remember: according to scientists, kids develop their brains by playing and interacting with the world. 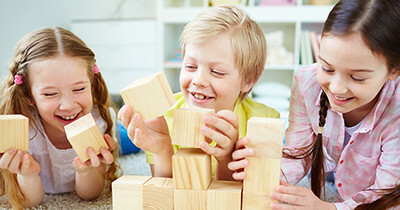 Providing kids with a fun and challenging game will allow them to mature their self-regulation and establish the basis of problem-solving and thinking creatively. Besides, if you play together, it also has the advantage of bringing family members together to work cooperatively and solve puzzles, which is a perfect match! Learning doesn’t have to be a boring task and gaming doesn’t have to be an empty experience; Super Brain Game is one of the best representatives of that premise and it’s not just another one of those free mind games to play: it’s a real experience for all the family! Memory Games For Adults Shown To Help Fight Aging Memory Loss – As we age, our memory and recall abilities start to fade. Most people believe that they are unable to stop this inevitable decline but recent science suggests that is not the case. You can stave off the cognitive impact of aging.